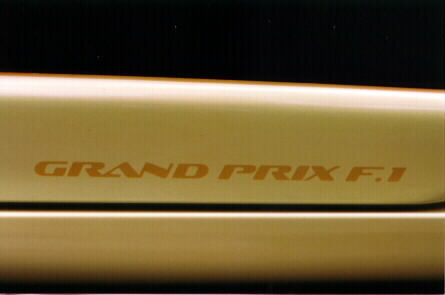 So far, there are six limited (or special) editions of the current W-body Grand Prix. 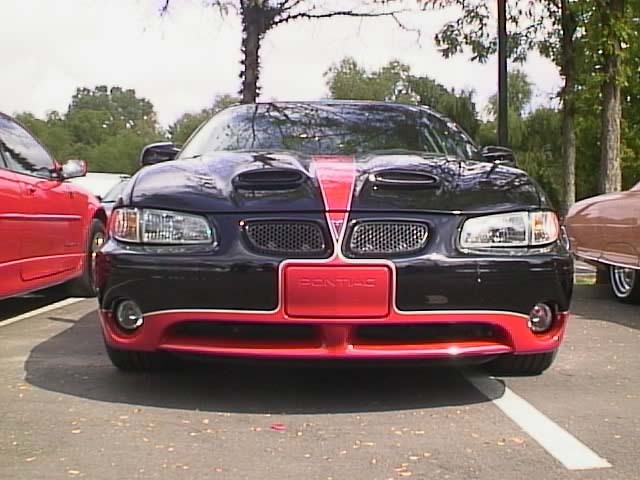 What do you get when you add ram air induction to an already power-ridden Grand Prix? 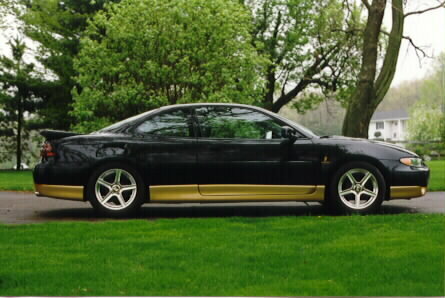 SLP's GTX, that's what. 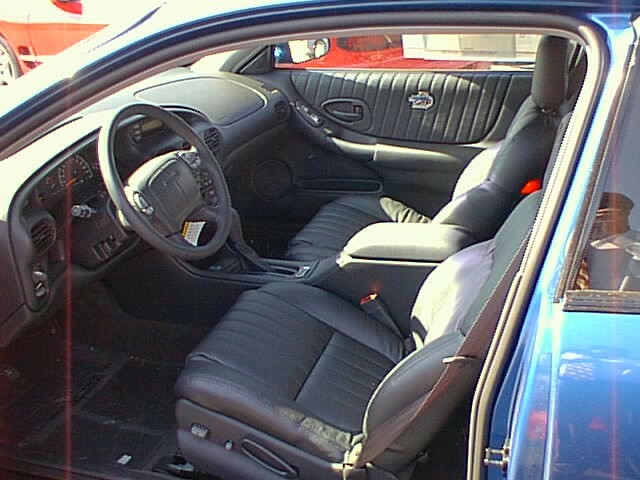 The basic package includes ram air induction, special GTX badging to replace your standard badging, and custom GTX key fobs. 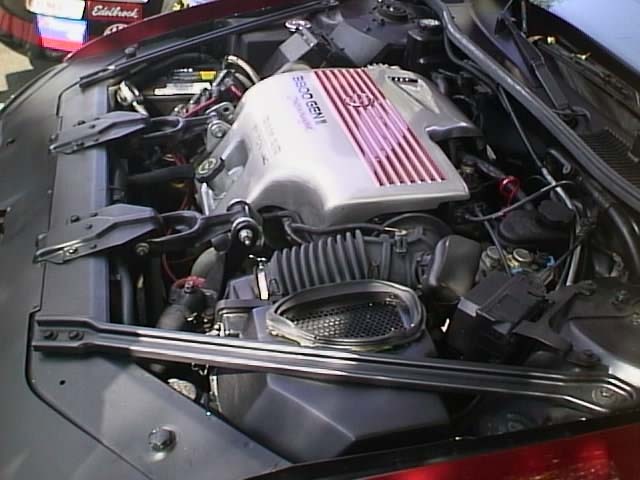 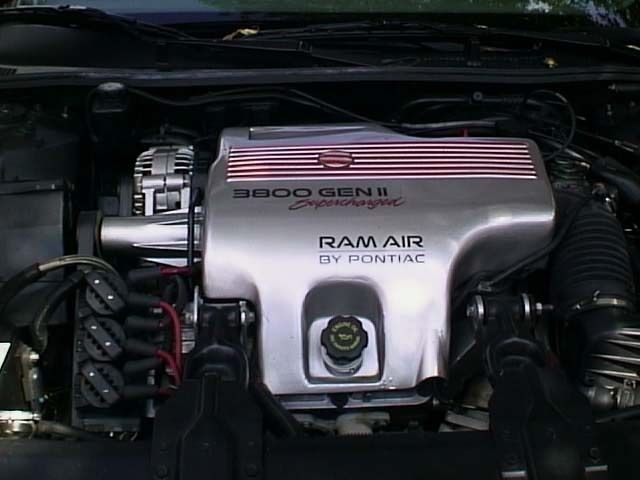 Ram air adds approximately 10 horsepower to your Grand Prix, be it an SE, GT, or GTP. 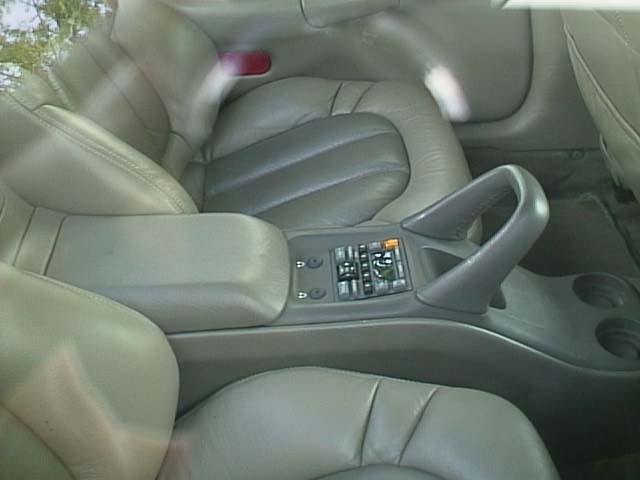 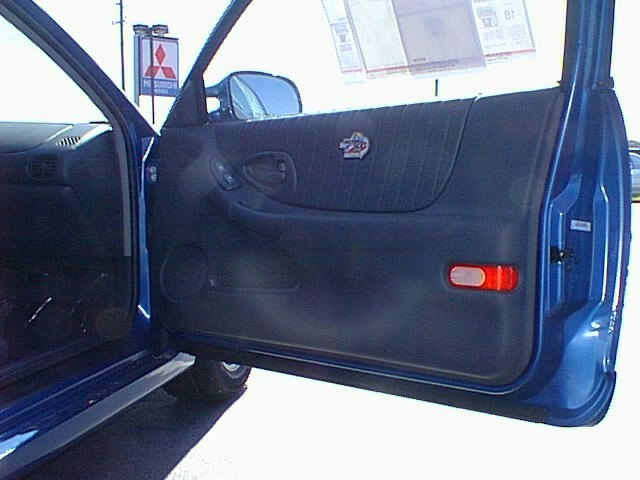 Other items available include a full stainless steel cat-back exhaust system, sunroof, synthetic fluids package, and more. 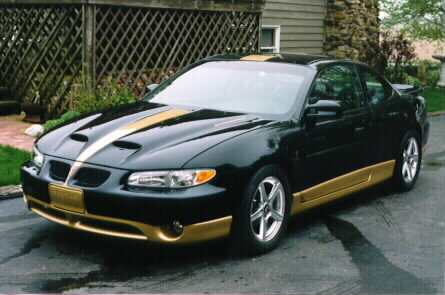 NOTE: This is not a limited edition because SLP will make as many as possible. 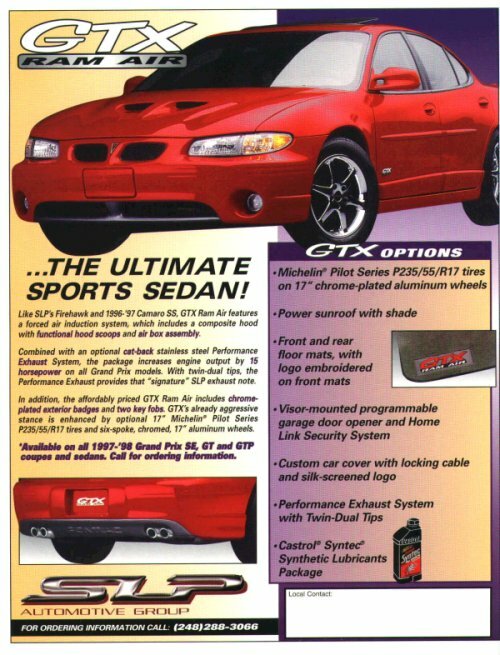 An inside look at the GTX is available in a special article reproduced from the pages of Pontiac Enthusiast magazine. 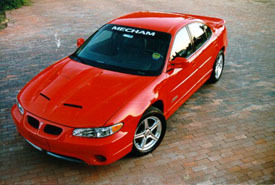 Check out SLP's web site. 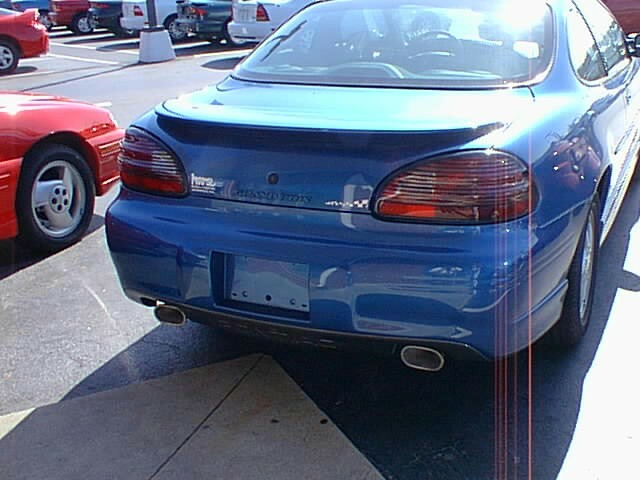 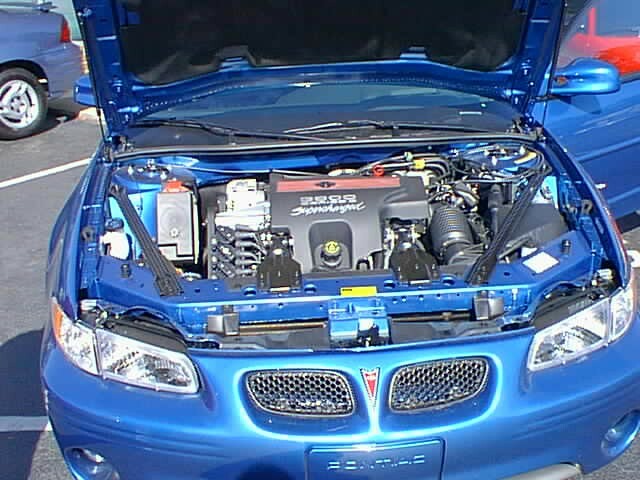 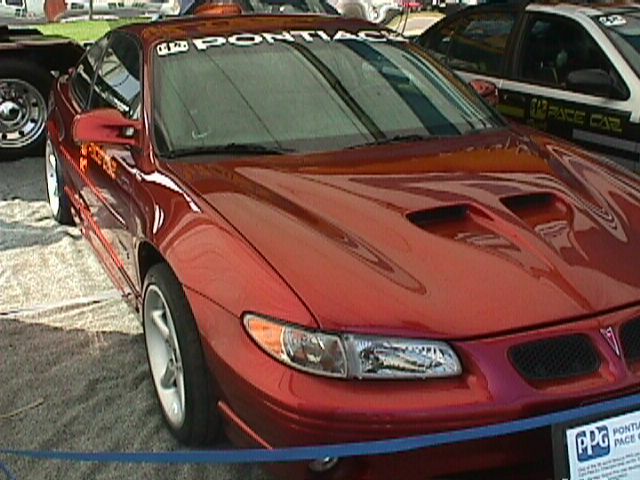 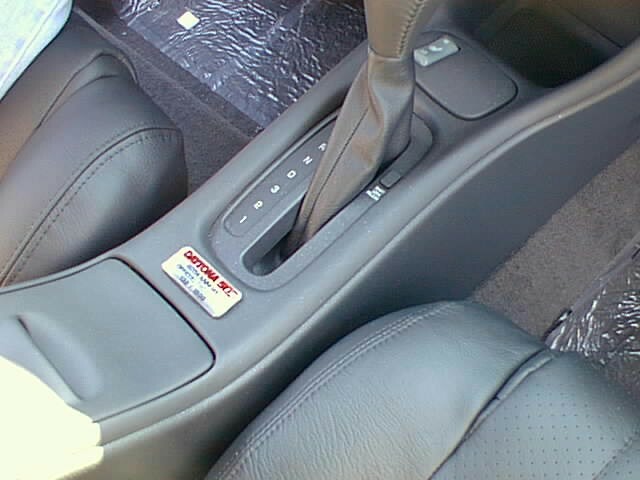 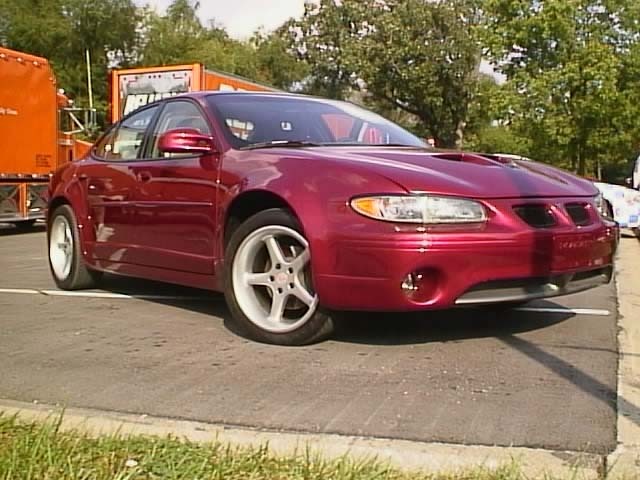 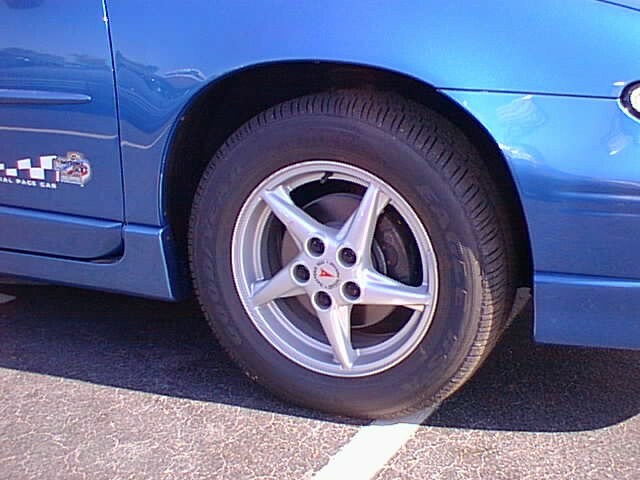 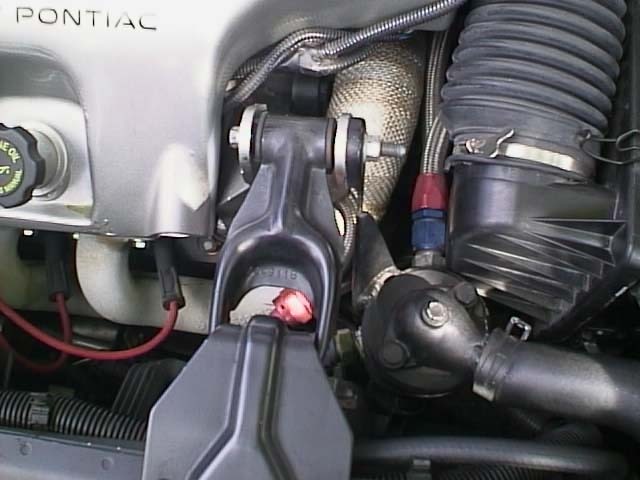 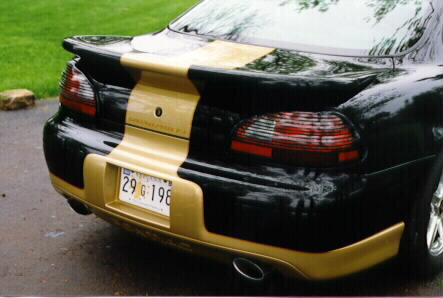 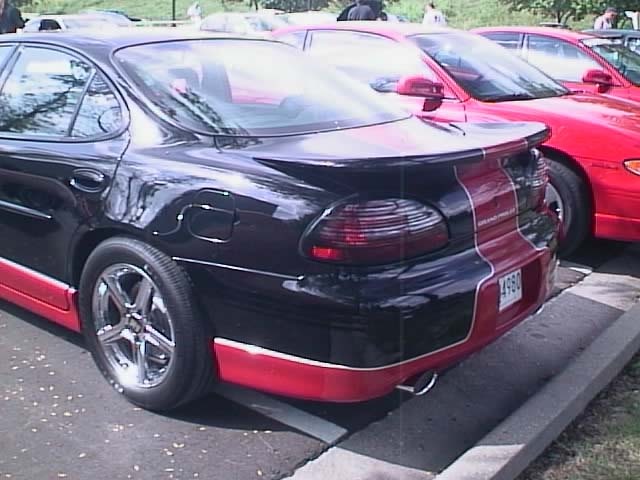 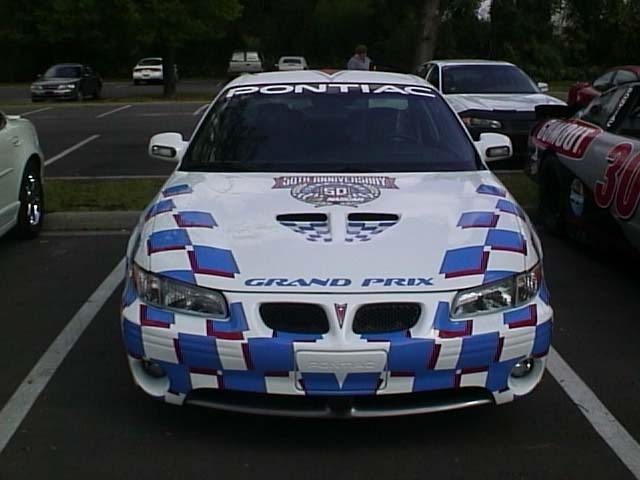 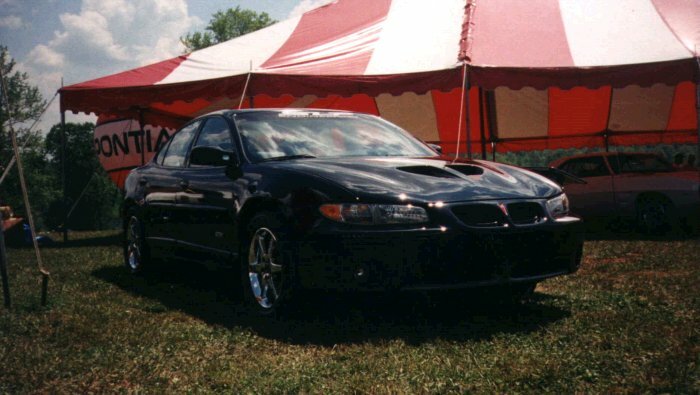 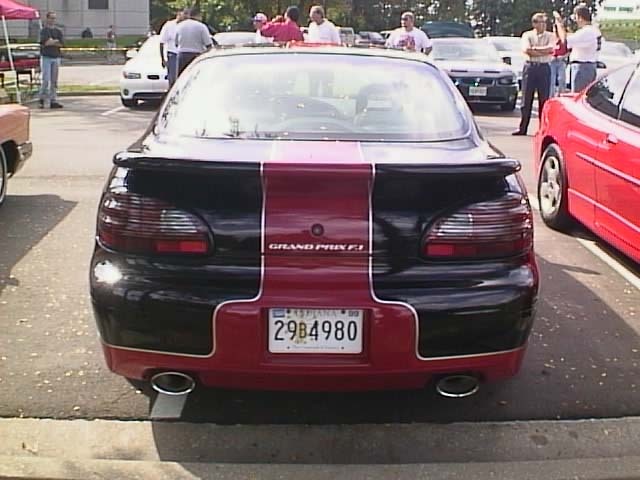 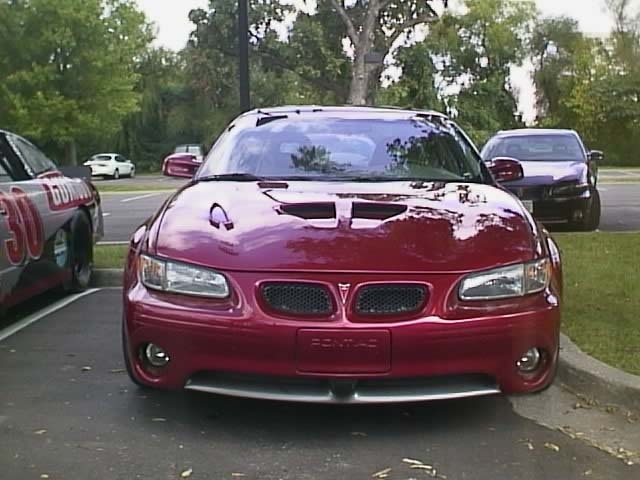 The Grand Prix F.1 is an exciting new package engineered by MPD, Inc. for the Pontiac Grand Prix. 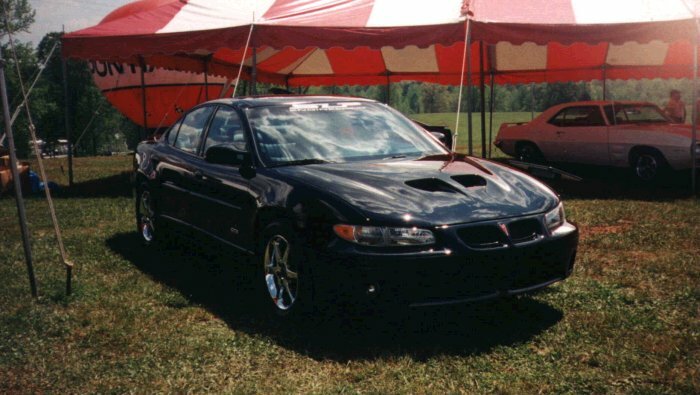 Available for the Grand Prix GT and GTP, the F.1 package adds many performance and appearance features designed to appeal to a wide range of sports sedan enthusiasts. 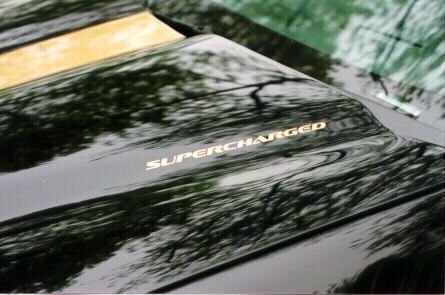 The F.1 package transforms a great car into an incredible automotive work of art. 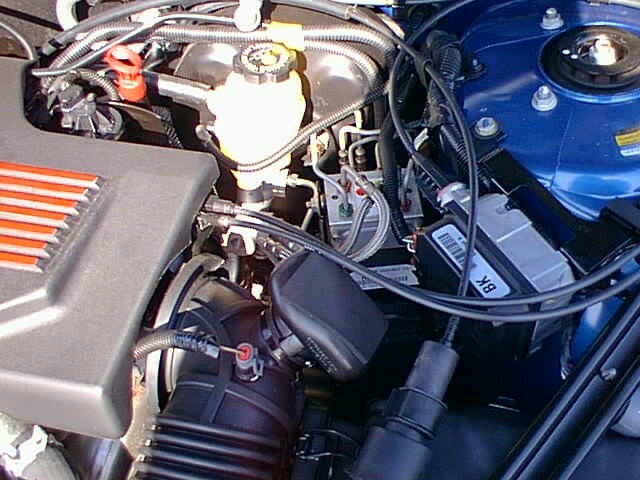 Other information about the F.1 package is available for you to read. 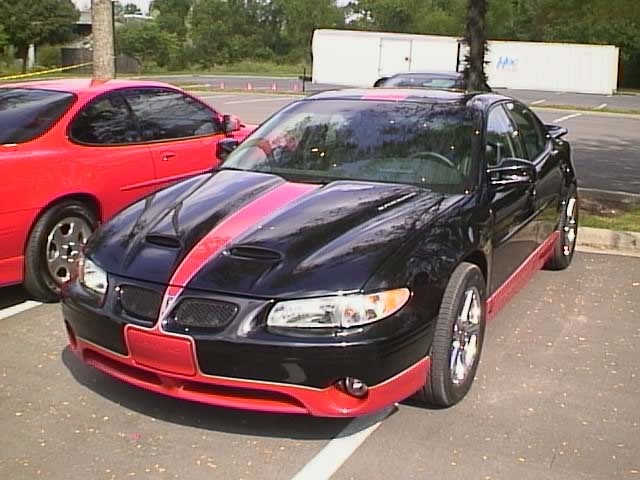 No longer available! 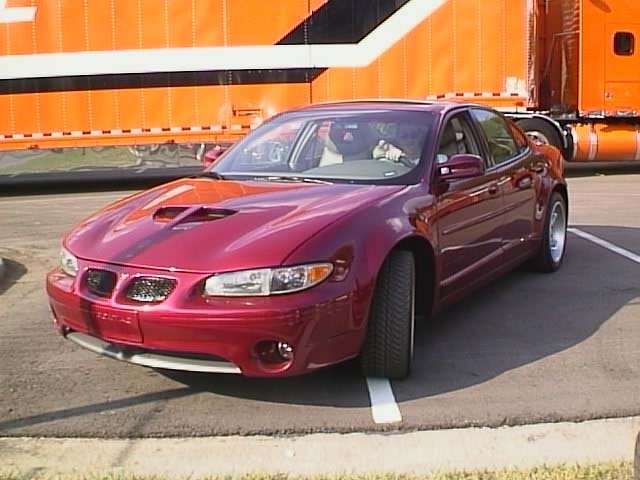 MPD is now closed. 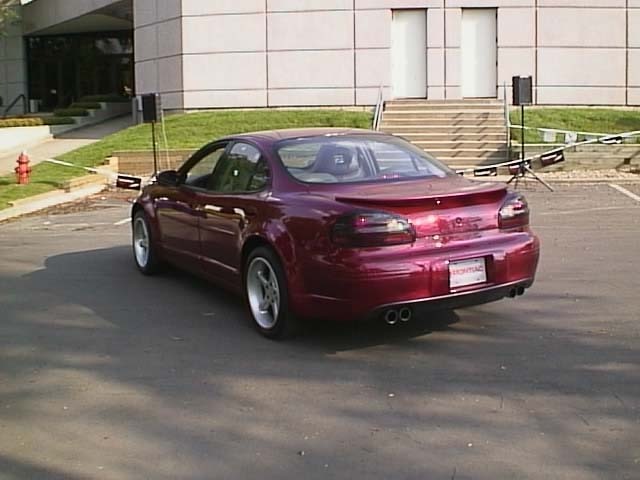 Chrome exhaust tips, the MDP rear wing spoiler, a Baer PBR brake system front and rear or just a larger-rotor front upgrade, 245/50 HR 17 tires on 17" wheels (either polished or chrome), a cold air package using K&N that requires the hood, a blower nose with keyed input shaft and interchangeable pulleys and the REAL biggie: engine performance and driveability package for GTPs only. 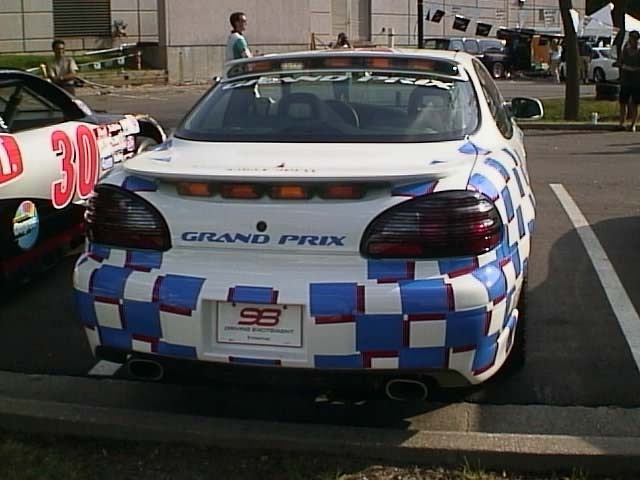 This consists of them reprogramming the onboard computer. 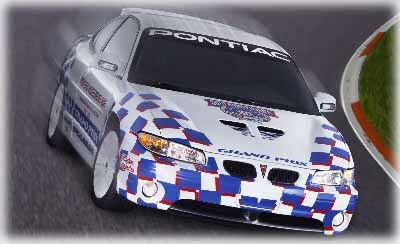 Similar to other custom Grand Prixs, this appears to be a very limited edition for use only in PPG race events. 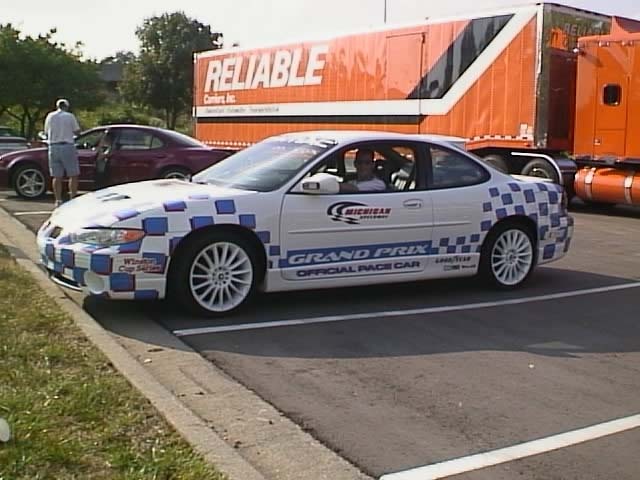 Ram Air, 18" wheels, huge brakes, and everything else needed to be a serious racer are in this car. 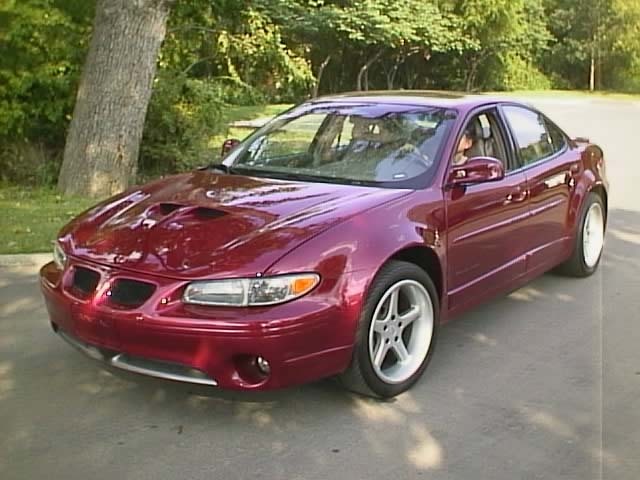 Too bad you can't order a GP in this color! 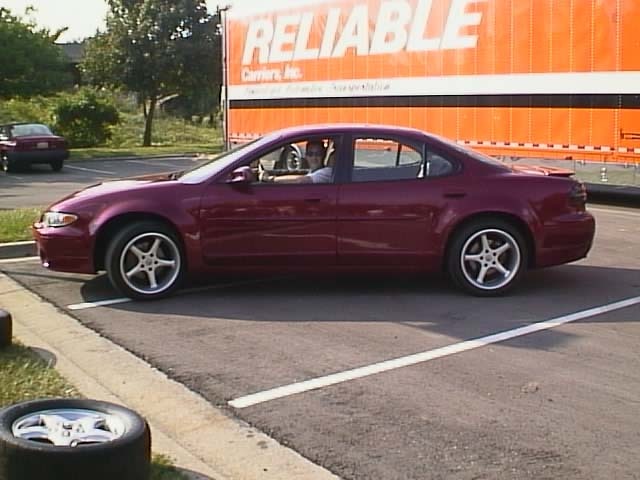 The only thing I could find: a link to the CART site. 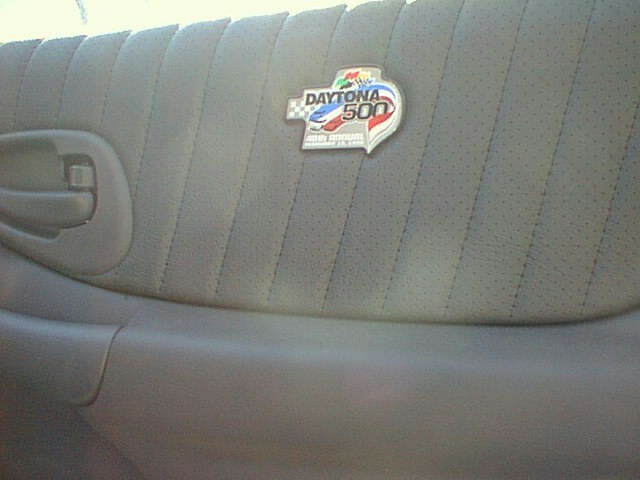 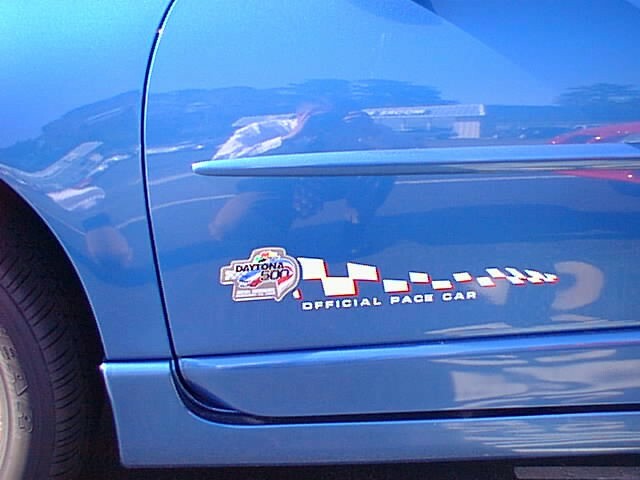 The Grand Prix is back as the official NASCAR pace car. 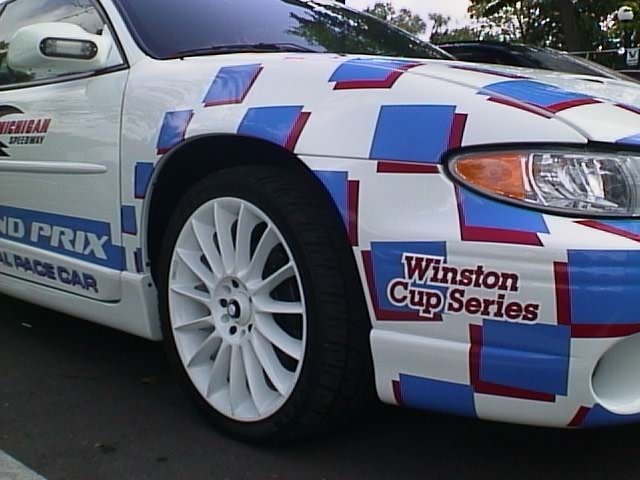 White GTP coupes outfitted with special emblems, ram air hoods, and 18" white five-spoke wheels lead the pack of speed-craving stock cars around the track. 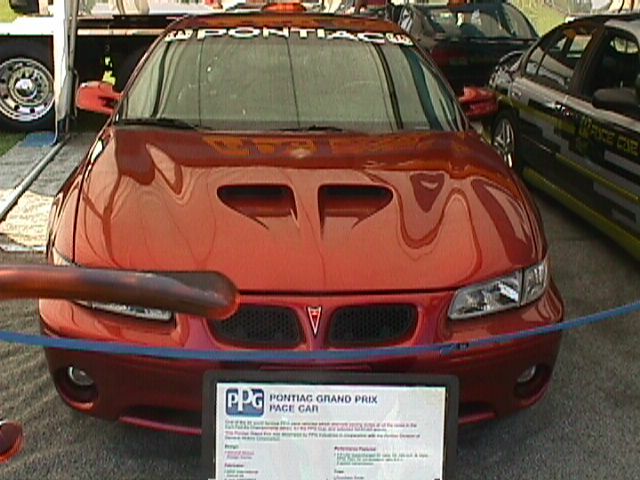 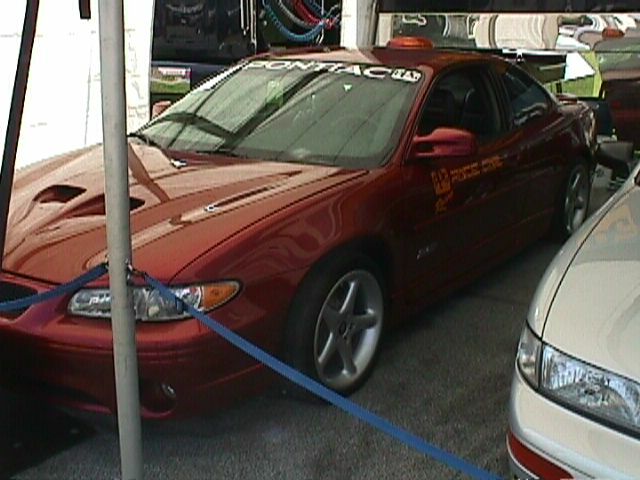 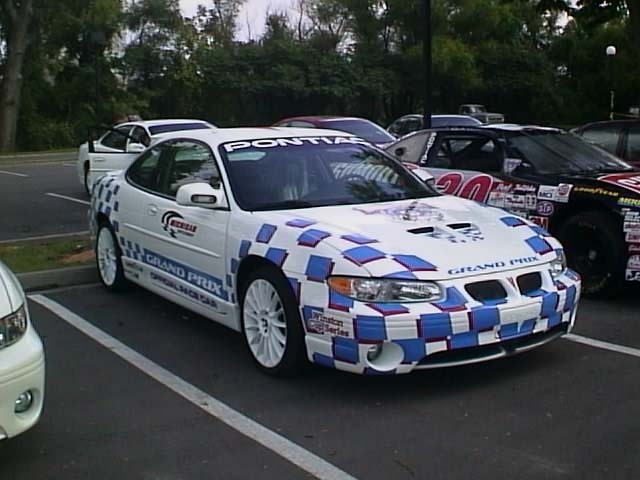 The Pontiac web site has a very small bit of information on the Grand Prix Pace Car. 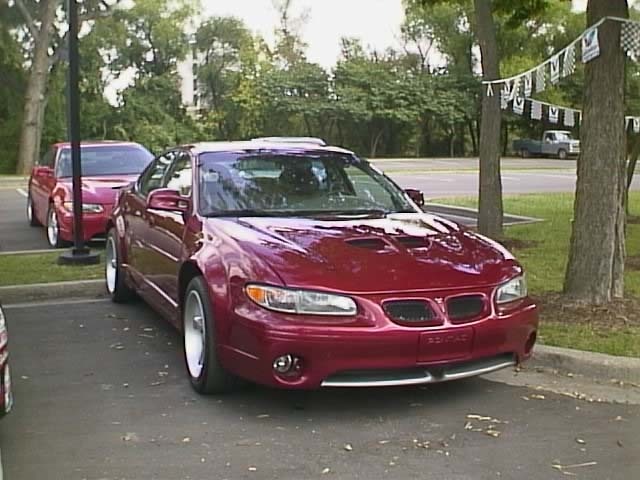 Go to the "Pontiac Motorsports" section for details. 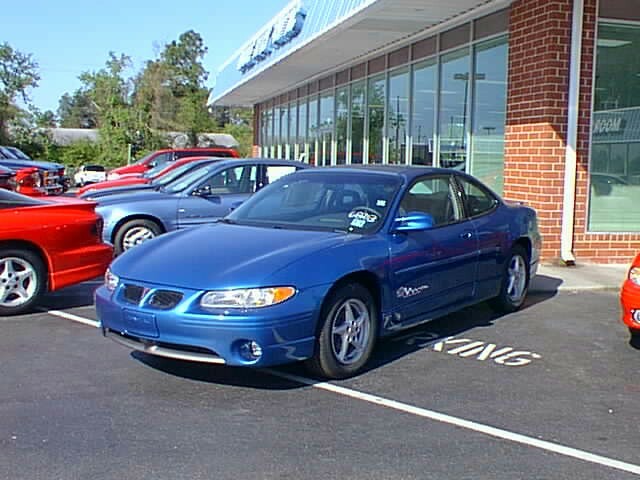 According to Pontiac, 1,500 of these Gulf Blue beauties will be build and selected dealers will get only one to sell. 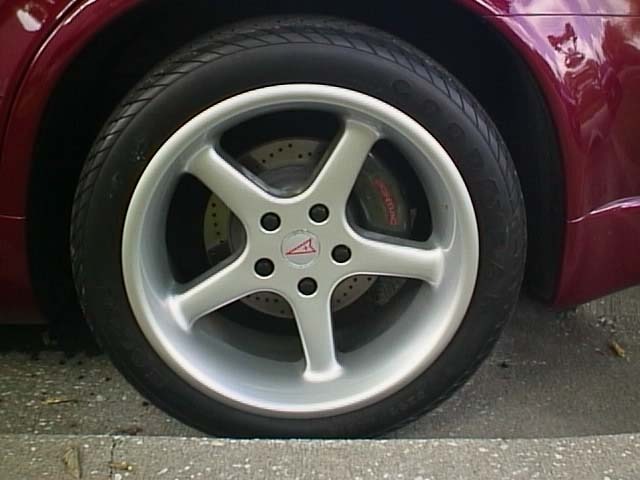 Expect them to sell for more than they're worth. 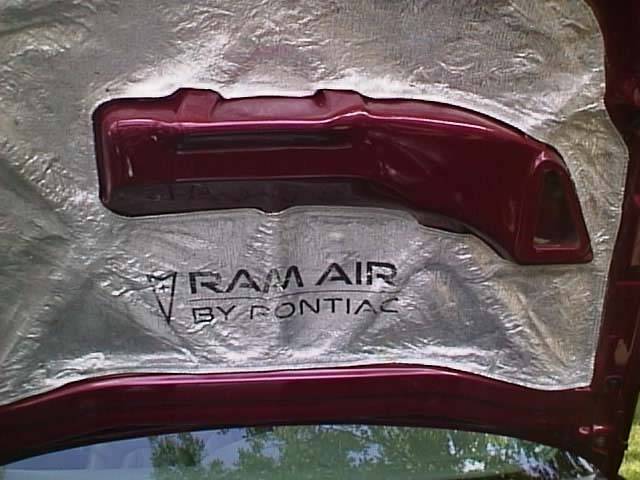 Contrary to previous indications, no ram air hood (either functional or non-functional) comes with this package. 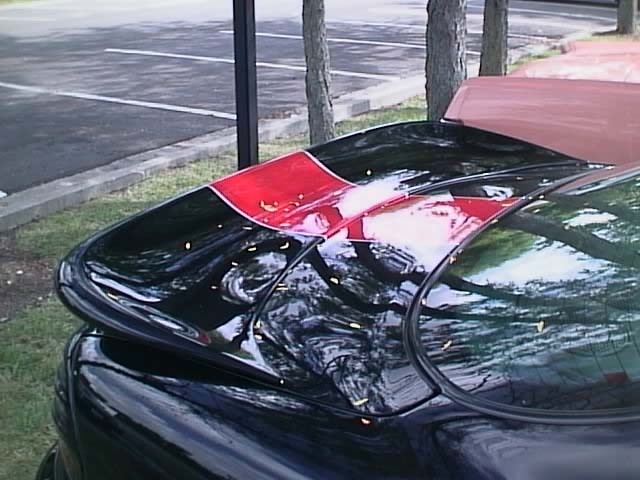 An article that recently appeared in an advertising section of USA Today is available for your reading pleasure. 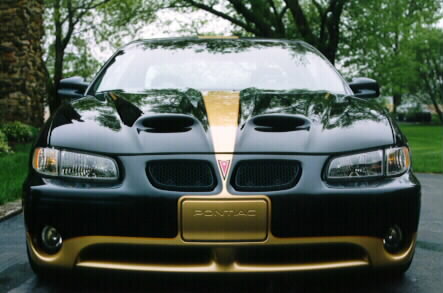 An article that originally appeared in Motor Trend gives you an inside look at this spectacular muscle car in all its glory.